Jack Gordon Merrell was born on 8 April 1915 in Jeannette, PA. He graduated from high school in 1933, attended Braden's Preparatory at Cornwall-on-Hudson, NY, and then entered the U.S. Military Academy where he graduated in the class of 1939 with a Bachelor of Science Degree in Military Science. Upon graduation he was commissioned a Second Lieutenant of Cavalry. Although assigned to the Cavalry, he quickly secured a transfer to the U.S. Army Air Corps, and finished both Primary and Advanced Flying School within a year after leaving West Point. When the U.S. entered into World War II, Merrell was serving with the Army Air Corps Training Detachment at Lakeland, FL. Tours of duty with the 39th and 491st Bombardment Groups as Provisional Commander, and Deputy Commander, respectively, followed. In May 1944 he went to England and became the Air Executive Officer of the 491st Bombardment Group and later was Commander of the 389th Bombardment Group, Eighth Air Force. At the end of the war he moved with the 389th to Charleston, SC. From November 1945 until June 1948, he served with the Air Transport Command at Cincinnati, OH; Memphis, TN; Fort Totten, NY; and Westover Air Force Base, MA. Postwar reorganization changed the Air Transport Command into the Military Air Transport Service; and in July 1948, Merrell became Chief of Staff for MATS' Atlantic Division. After a year, he was made Commander of Kindley Air Force Base, Bermuda. In September 1951, he was assigned to Command the 1600th Air Transport Wing, operating out of Westover AFB. From that post he went to the Air War College at Maxwell Air Force Base, AL, where he graduated in 1954. Merrell had his next duty tour at U.S. Air Force Headquarters in Washington, DC, where he was assigned to the Office of the Deputy Chief of Staff, Personnel, Chief of the Plans and Programs Division, in July 1954, and a year later as Deputy Director, Directorate of Personnel Planning. He was reassigned to MATS at McGuire Air Force Base, NJ, in 1959. There he was Deputy Commander, then Commander of its Eastern Transport component. From McGuire he went to MATS Headquarters at Scott Air Force Base, IL, in September 1960 to become Deputy Chief of Staff for Plans. In January 1962, he returned to Washington to serve as Director of the Budget, Headquarters U.S. Air Force. 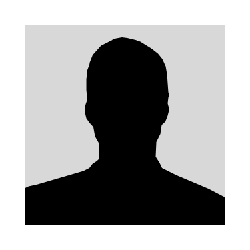 He assumed the position of Comptroller of the USAF in November 1964. He was named Vice Commander of U.S. Air Forces in Europe in August 1967. 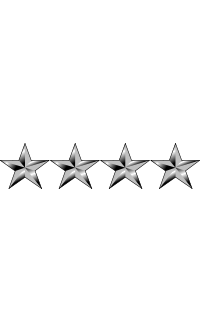 Merrell was promoted to the four-star rank of General and named Commander of the Air Force Logistics Command on 29 March 1968. 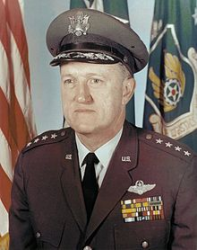 General Merrell retired from the Air Force on 12 September 1972. General Jack Gordon Merrell died on 15 August 1993. He is buried at Fort Sam Houston National Cemetery in San Antonio, TX.